Everyone loves a good DIY project – especially me! I whipped up this quick canvas project in less than 2 hours with materials I had laying around my apartment (can’t beat that, right?). Since I wanted to reuse my canvas (and because I didn’t plan on hanging it), I folded the fabric around it and secured it with binder clips. You could always secure with heavy-duty glue or staples if you don’t plan on reusing your canvas. This could also work on scrap paper and placed in a frame, too! Next I drew a variety of leaf shapes on my scrap paper – a quick image search will give you plenty of inspiration. 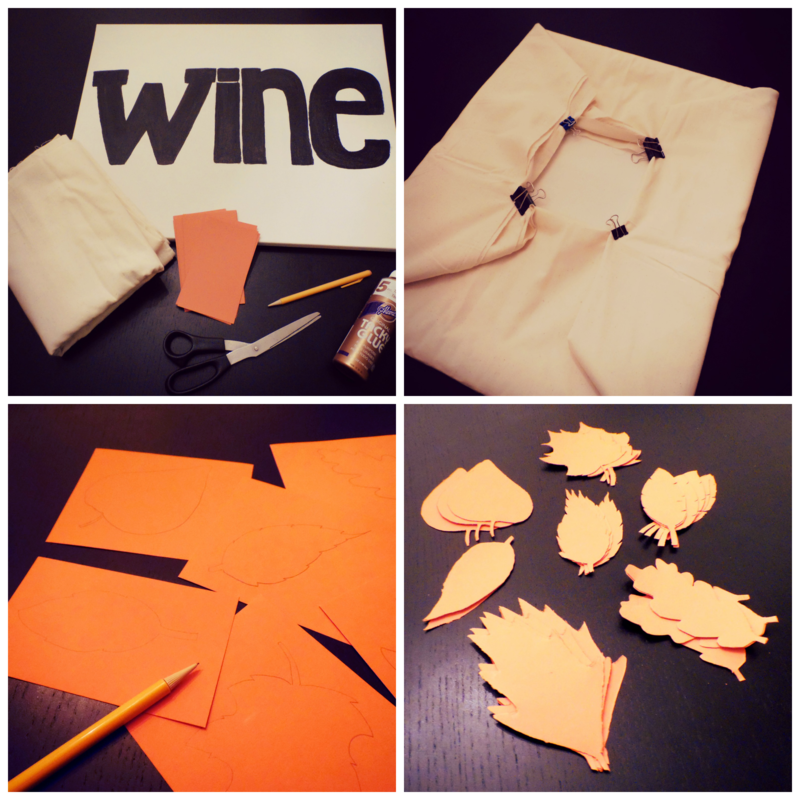 Because I wanted rough, jagged edges on my leaves, I stacked 5-6 sheets under the stencil and cut around my outline. Once all my leaves were cut, I randomly glued the leaves down to the fabric. I chose this method because I wanted it to have a loose, handmade feel. Voila! 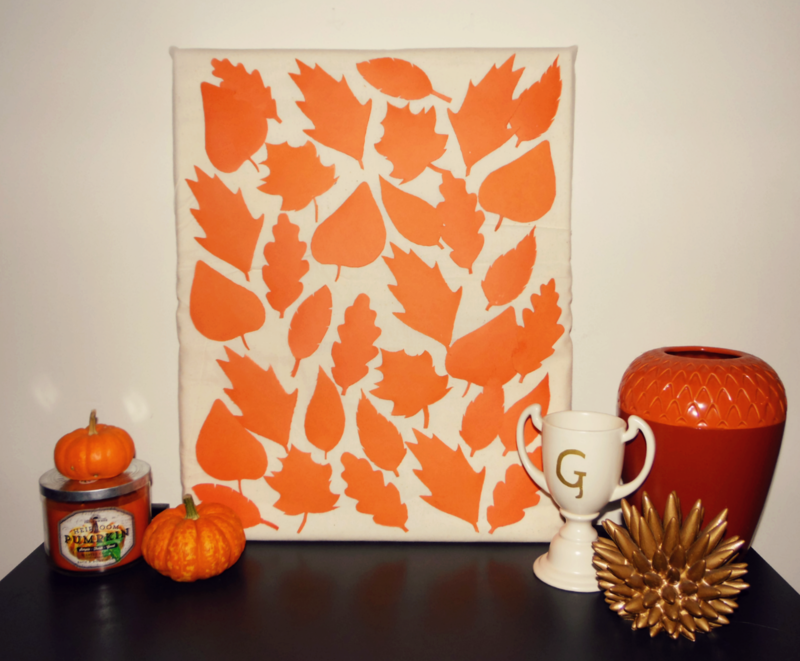 A quick, easy DIY that brought a little fall indoors.